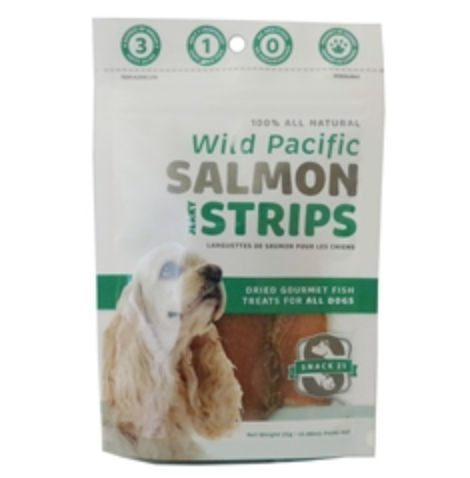 These 100% natural treats are made with dried Wild Pacific Salmon as the only ingredient. They are ideal for pets with allergies to meat products, grains, and/or chemical additives. These tasty treats contain no additives, preservatives, coloring, or artificial flavoring. They are a great source of Omega 3 fatty acids, protein, natural vitamins, and minerals for your pug! You will receive 25 grams of treats per bag.